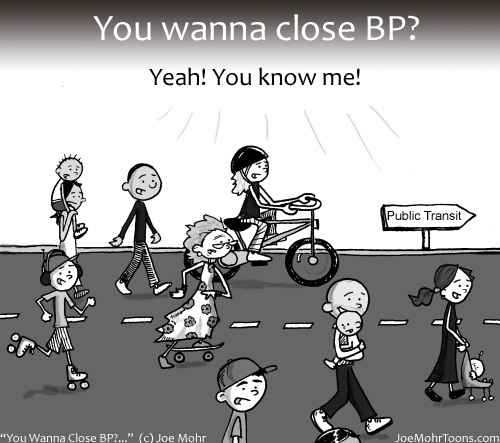 “You Wanna Close BP?…” Reposted from Wend Magazine’s Greenery Page. Not that any Wend readers need motivation to get out of the car and onto their human powered wheels (or feet)…but, hopefully this cartoon (or atleast its message) will spread far and wide and change will start to take place. Afterall, according to Grist we are responsible for 22% (kind estimate) of the blame. ← Buy a Joe Mohr Father’s Day Card (or oil spill card or…) here!